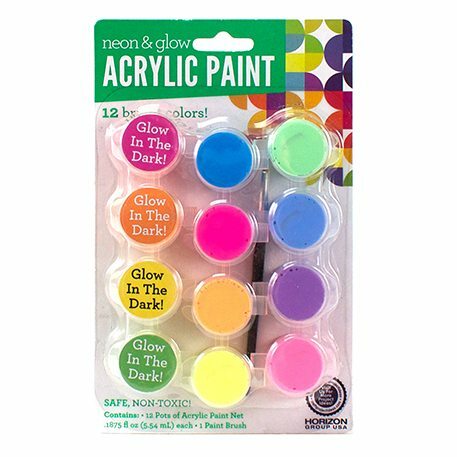 Use Glow and Neon Paint Pots for painting vibrant and Glow-in-the-dark art. Watch your child’s projects glow and stand out with this fun and easy to use paint! The 12 colors of Glow and Neon Paints can be used on many surfaces such as paper, wood, cardboard and other art media.